According to Associate Professor of English Sharon Dilworth, Ron Carlson is a true man of letters. 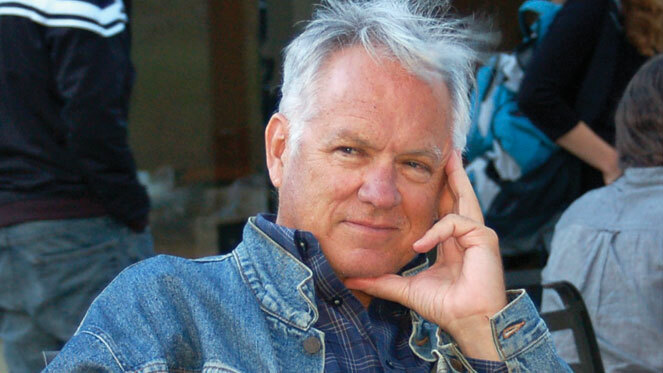 Carlson, an award-winning novelist, short story writer and poet, has taught creative writing to students at Arizona State University and currently co-directs the MFA programs in fiction writing and English at the University of California, Irvine. His short stories have appeared in The New Yorker, Harper’s Magazine, Esquire and GQ. He is also the author of the 2007 book “Ron Carlson Writes a Story” — “a story of a story” in which he offers practical advice about the elements of effective writing. Carlson will be the keynote speaker at Carnegie Mellon University’s 2016 Adamson Student Writing Awards at 8 p.m. on Friday, April 29 in the Adamson Wing of Baker Hall. “Carlson is the kind of writer we want for the awards — he’s attained a certain stature with his career,” said Dilworth, who also directs the Creative Writing Program. Sponsored by the Dietrich College’s Department of English, the annual writing awards ceremony encourages undergraduate students to pursue excellence in writing in the categories of non-fiction, fiction, poetry and screenplays. Professional writers — whose identities are unveiled at the awards ceremony — judge the student entries. Last year, 20 students received awards. As a Carnegie Mellon student, Kevin González won an Adamson award for poetry. Today González, assistant professor of English, teaches courses in poetry and fiction. “It’s always an honor to be recognized for one’s writing, but as a student, what was most memorable was being able to listen to the Adamson speakers read their work and interact with them afterwards. Some of my favorite writers — Jim Harrison and Cornelius Eady — were Adamson speakers while I was a student, and they gave terrific, memorable readings,” said González. The awards have been presented since 1982 in honor of Pauline B. Adamson at the bequest of her husband, the late Clarence H. Adamson, to recognize her interest in American literature and the English language. Learn more about the Adamson Student Writing Awards.